Before exploring the differences between GBWhatsApp and WhatsApp Plus, it is important to ponder on WhatsApp, the most convenient cross-platform IM app. Instant Messaging is the most popular way through which people communicate with each other. They are a lot convenient than email and even phone calls. Also, WhatsApp is one of the most popular instant messaging apps that people across the globe use every day. WhatsApp changed the game in instant messaging since its day of inception in January 2009. As a communication app, WhatsApp allows you to send text messages, videos, pictures and you can also make voice and video calls. When you are using WhatsApp, you don’t have to buy an extra texting plan or get your hand on extra calling minutes. You can download the cross-platform app for free. Signing up in WhatsApp doesn’t even require an additional charge all it requires is an active internet connection. What makes WhatsApp standout from the rest? 1- WhatsApp allows the users to import the contacts from the address book of the phone and the user won’t have to add the contacts individually. WhatsApp automatically detects who among your contacts already use WhatsApp and it adds them in the WhatsApp contacts. 2- With WhatsApp communicating with your near and dear one is easy. You can send your loved ones; texts messages, pictures, record video or audio, phone calls and you can also send your location to the people. 3- The group chats feature in WhatsApp to send messages to 100 people at once. This feature is very much useful for a group of friends and business teams to communicate with each other. 4- With WhatsApp, you can easily search for the messages you are looking. GBWhatsApp is completely different from the conventional WhatsApp, it is an advanced version, and you can easily find it as an apk file on the web. It has been removed from Android Play Store and Apple App Store as well. As it is very much advanced, it has tons of added features. 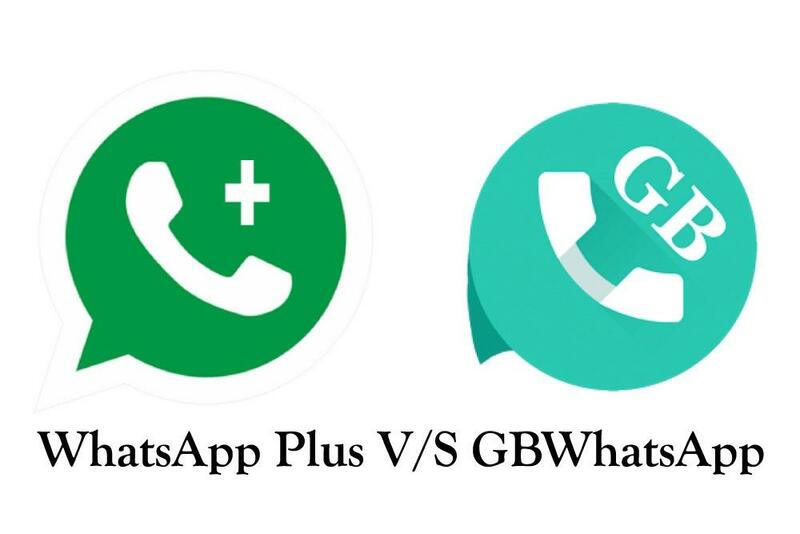 GBWhatsapp Plus and OGWhatsapp are also available If you want you can download their APK from the linked articles. Most of the time it is not recommended to download and use this version/MOD of WhatsApp because Gbmods developed it. To most people MODs are, and this is the reason why people who like customizing the User Interface of their phones go for GBWhatsApp, but the downside of GBWhatsApp is that there is a privacy issue with MODS such as GBWhatsApp. 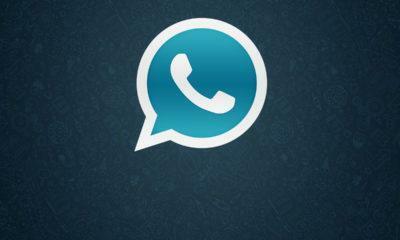 1- With GBWhatsApp you can download themes. You can also create your themes and get those themes approved by the developers. 2- You can send videos up to 50 MB. In GBWhatsApp the upload limit of audio files is 100 MB, and the best thing about GBWhatsApp is that you can also send high-quality images with original resolution. 3- You can also enhance the quality of the media when you about to upload the desired media file in your status. 4 – You can lock the chat thread for extra security and disable voice call features if you don’t want them. 5 – The two-factor authentication in GBWhatsApp works just like the original WhatsApp. The most alarming stuff about GBWhatsApp is the danger of getting banned. Back in 2015, GBWhatsApp was banned. The policies of the Original WhatsApp might be a little bit relaxed as far as the users of this MOD is concerned, but there is always a chance of getting banned. This is the very significant con as GBWhatsApp doesn’t get updated on its own. You will have to keep tabs on the future versions to use them. WhatsApp Plus came into being a few years ago a substantial array of immobility was established in the world of Instant Messaging. When WhatsApp plus came into being the IM enthusiasts thought that it is a premium version of the conventional WhatsApp, but in the course of time, people started getting suspicious of the Instant Messaging app. WhatsApp Plus is a perfect replica of the original WhatsApp. 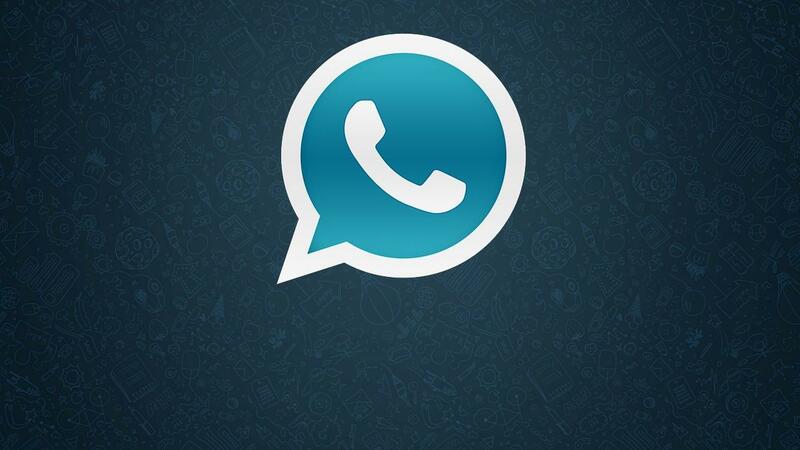 The only difference between WhatsApp Plus and the original WhatsApp is the blue color of the icon. The app was developed by a developer who originates from Spain called as Rafalete back in 2012. 1- WhatsApp Plus comes with the ability to add themes which is almost the same as GBWhatsApp. In WhatsApp plus you can quickly change the theme as per your requirement. There are over 700 themes in WhatsApp Plus. 2- Another feature that makes WhatsApp Plus lucrative is the addition of new themes. WhatsApp Plus also includes the smiley Google’s Instant Messaging app Hangouts. However, these emojis can only be seen by the people who also use WhatsApp plus. 3- In WhatsApp Plus you can edit the file sharing option. You can modify the limit of the size of the sent files from 2MB to 50 MB. There is also an option to maintain the quality along with the size of the images and videos. 4- You can also edit the colors, headers, and size of a chat thread. If you want to make changes to the size and header of the image of your contacts, then WhatsApp Plus is an ideal choice. 5- Are you tired of receiving voice notes? Then you can disable the voice notes entirely along with animations. With WhatsApp Plus you will be left out as you won’t receive any updates whatsoever. The developer of WhatsApp Plus abandoned the project to work on Telegram, so there is a highly likely chance that you are not going to receive crucial updates. Using MODS allows a person to gain the communication to the third party developers and third-party developers in Open Source industry aren’t reliable. Image Size You can send the original size of the image. GBWhatsApp doesn’t compress the resolution and size of the image You increase the resolution and enhance the quality of the photos before sending them. Banning GBWhatsApp has not been banned till date. But it is not know how long will GBWhatsApp last A series of blockages took place to WhatsApp Plus in 2014 to 2015 and then the creator left the project. 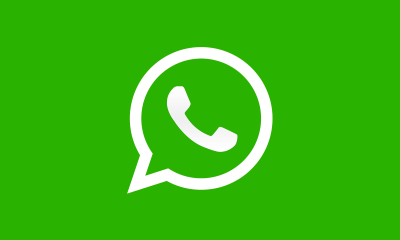 The download link of the latest version of GB WhatsApp is already attached in the article.